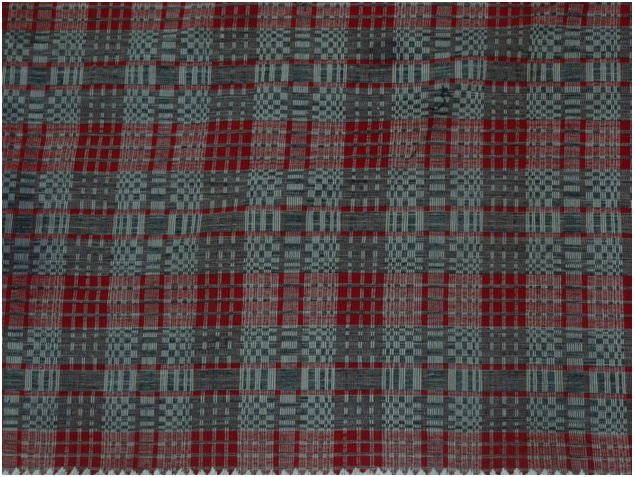 This blanket was woven using the binakol technique, featuring the kasikus or whirlwind design. Negative and positive colored threads are arranged in the form of graduated rectangles emanating from a central rectangle(grey) giving an illusion of movement as of a whirlwind. Symmetry group of the planar pattern is of type pmm.